We all know here as one of the awesome heroines from the Resident Evil series. 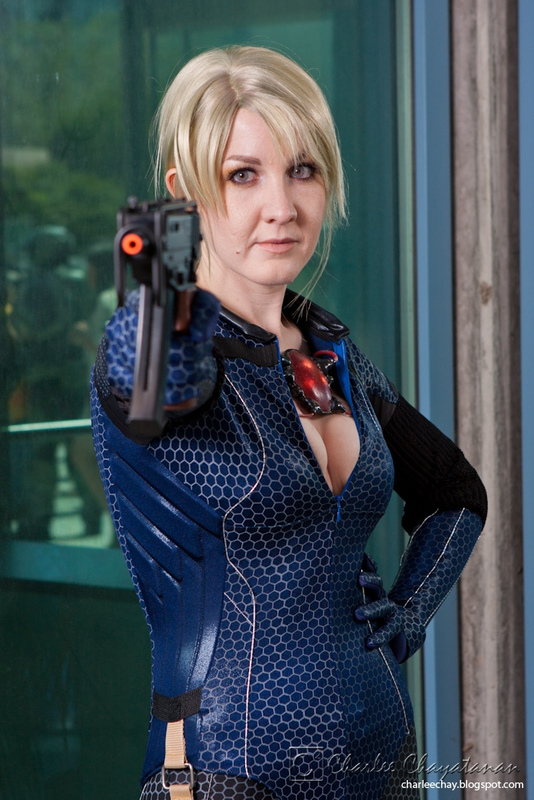 Here are some great cosplayers showing us the many faces of Jill Valentine. Resident Evil Revelations is an original look inside the RE world taking place between RE4 and RE5. Revelations allows you to experience the events after the counter-terrorism group called the Bioterrorism Security Assessment Alliance or BSAA for short, was joined by new team members Chris Redfield and Jill Valentine. This noble beauty believes in the more traditional role of fantasy princesses. Zelda spends most of her time either in a magically induced sleep or trapped in some dungeon waiting for a hero to save her. Being a lady of stature and prestige she refuses to show herself in anything beyond her royal gown, but we still like what we see. Zelda understands the key to being saved is looking good and patience, lots and lots of patience.